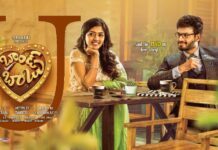 Ee Nagaraniki Emaindi Movie Censor Report: The Tollywood Young director Tharun Bhascker, who made a sensational debut with the blockbuster, Pelli Choopulu has his second film ‘Ee Nagaraniki Emaindhi‘ gearing for a grand release on 29th of this month. 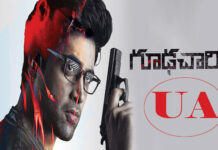 The latest we hear is that The Regional Censor Board in Hyderabad had finished the censor formalities of the movie a little while ago and was awarded U/A Certificate. The movie almost has Zero competition. 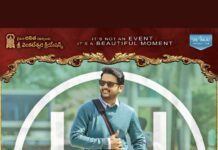 Ee Nagaraniki Emaindhi is the story revolving around four friends, each with their own ambitions, who decide to collaborate and make a short film. The Film Produced by Suresh Productions, Ee Nagariniki Emaindi film will have new faces Vishwak Sen, Sai Sushanth, Abhinav Gomatam, Venkatesh Kakumanu, Anisha Ambrose and Simran Chowdary. 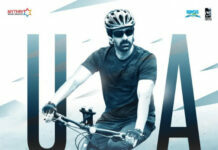 The music for the film is by Vivek Sagar.